This November, the FHT will be hosting a special one-day conference that will look at some of the many ways professional therapists can support both the public and the medical workforce – from helping patients to manage their own health and symptoms, to addressing ‘effectiveness gaps’* and creating cost and time efficiencies in the NHS. Confirmed speakers include one of the most influential figures in healthcare, Dr Michael Dixon, who is a GP, chairman of the College of Medicine, and an appointed government advisor on GP commissioning. Dr Dixon will provide delegates with an overview of the current health and social care landscape, and highlight the different challenges and opportunities this presents for integrating therapies into mainstream care. Nicola Robinson, professor of Traditional Chinese Medicine at London South Bank University and chair of the Research Council for Complementary Medicine (RCCM) is also a respected authority in her field, and will be looking at the importance of evidence base and how best to measure and present treatment outcomes for therapy interventions. Other guest speakers will be providing case studies of how therapies have already been successfully integrated into healthcare: Anita Mehrez will be highlighting the work of the multi-award winning complementary therapy team at The Christie NHS Trust, Manchester; Dr Julie McCullough will reflect on providing antenatal reflexology to clients as part of a CAM in pregnancy research trial; and Jennifer Young will look at the impact of cancer on self-esteem and body image. Rounding off the day’s programme, the winners of the prestigious 2018 FHT Excellence Awards will be announced, to further celebrate examples of best practice. Early bird prices are available until 31 August at just £65 for FHT members (£85 for non-members), after which tickets will cost FHT members £75 (£95 for non-members). 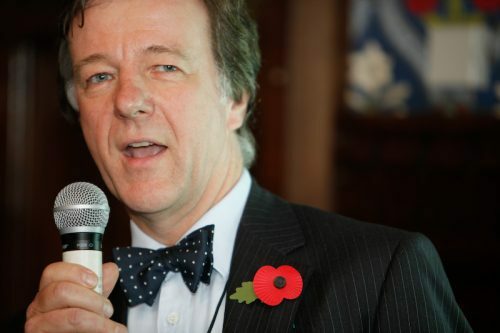 Widely considered as one of the most influential figures in healthcare, Dr Michael Dixon is a GP, national clinical lead for social prescribing (NHS England), chairman of the College of Medicine, and an appointed government advisor on GP commissioning. He is a strong advocate of preventative medicine, healthy living and integrated healthcare. In his talk, Dr Dixon will provide an overview of the current health and social care landscape, and discuss the different challenges and opportunities this presents for the successful integration of complementary therapies into mainstream care. Nicola Robinson is professor of traditional Chinese medicine at London South Bank University, chair of the Research Council for Complementary Medicine (RCCM) and editor in chief of the European Journal of Integrative Medicine. She has a keen interest in complementary medicine and its integration into mainstream healthcare. In her talk, Professor Robinson will be discussing the importance of evidence base and how best to measure and present treatment outcomes for complementary therapy interventions. Anita Mehrez is a senior member of the complementary therapy team at The Christie NHS Foundation Trust, which received an FHT Excellence Award for researching and developing the CALM Service, bringing therapeutic support to patients struggling to cope with difficult medical procedures. Anita will be talking about the different interventions offered by the team; how these help to improve efficiencies in the hospital; and how they audit and fund the therapy service, which includes their comprehensive integrative therapies training programme. Dr McCullough is a research associate at Ulster University. As part of her PhD, she joined an established research team investigating the impact of antenatal reflexology on women experiencing stress caused by pregnancy-related low back and/or pelvic girdle pain. The findings of The CAM in Pregnancy Trial were very positive, which Dr McCullough will discuss in her talk, along with what it was like to be involved in this research, as a complementary therapist, scientist and mother. Jennifer Young is a microbiologist, nutritional therapist, aromatherapist, beauty therapist and product formulator. She is the creator of Defiant Beauty, specialist skincare for those affected by cancer, founder of Beauty Despite Cancer, and author of Recognise Yourself, a beauty and wellbeing guide for those affected by cancer. Jennifer will be talking about the impact of cancer on self-esteem and body image, including its effects on the hair, nails and skin, as well as her pioneering therapy work to help clients live with and beyond cancer. The FHT is the largest and leading professional association for therapists in the UK and Ireland, representing 17,000 members a year. Established more than 50 years ago, the organisation is overseen by a governing council, which represents the three core member sectors; complementary, beauty and sports therapies. 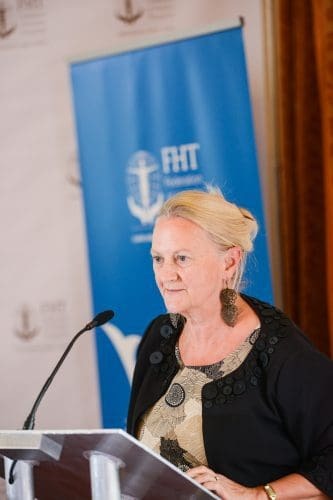 The FHT is a not-for-profit organisation, reinvesting for the benefit of the members and the industry, and works to uphold standards in therapy training and professional practice. The FHT runs the largest Accredited Register of complementary therapists to have been independently accredited by the Professional Standards Authority for Health and Social Care, a body accountable to parliament. The Accredited Registers programme is government-backed and ensures the public, care commissioners and employers can choose a non-statutory regulated health practitioner with confidence.